Ie Island is a small island only a 30-minute ferry ride northwest from Motobu. Although the island is big enough to have a population of just over 4,600, it doesn’t have an Awamori distillery, but there has been a distillery that makes rum since 2011. Ie Rum Santa Maria is an agricole rum made from sugarcane that is 100% grown on the island. 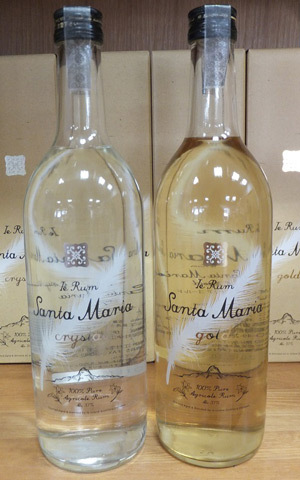 The rum is made in two varieties, Gold and Crystal. The difference is that the Gold is matured in oak barrels while stainless steel tanks are used to make the Crystal.